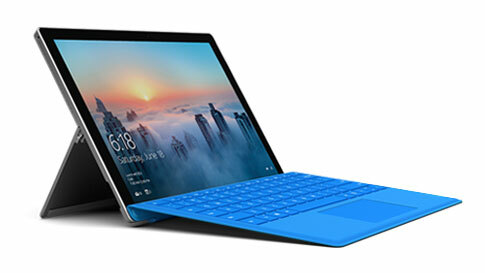 Microsoft is set to dispatch another section level Surface tablet, with low-end Intel processors and nice highlights inside a financial plan. It's required to equal Apple's $329 iPad, and has just been affirmed by FCC so it may hit the racks soon. For the present, the organization has not formally uncovered any points of interest identified with it, be that as it may, increasingly of its particulars are getting spilled as it nears its dispatch date. The latest rumor suggests that it’s going to be powered by the classic Intel Pentium chipset, instead of a pricier Core model, and will feature strictly low-end performance. It might suffice for most basic operations, the quad-core Gemini Lake Pentium Silver N5000 processor will pair with a decent 4 GB RAM, 64 GB internal storage, and if you want to include it within the package, LTE connectivity too. According to reports, optional upgrades to Pentium Gold 4410Y (1.5GHz) and 4415Y (1.6GHz) will also be available if you wish to top-up the bundle. The Gold processors are dual-core Kaby Lake-based and are capable of handling four threads and more intensive operations. As for its battery, FCC listings say that the upcoming Surface tab will have a 7.5-volt battery, chargeable via a 24-watt charger. It’s going to come with USB Type-C support, and will be the first Surface device from Microsoft to feature this connectivity port. Additionally, it will sport a 10-inch display at a 3:2 aspect ratio, with smoothed out edges and a hard frame. It will share design elements with previous Surface devices. Pricing is going to be somewhere around $399 for the base variant (Pentium Silver N5000, 4 GB RAM, and 64 GB storage). The top-of-the-line variant will surely be more expensive and will have a Pentium Gold 4415Y with 8/128 GB memory configuration.